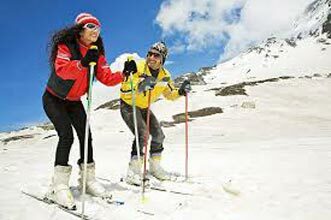 Our representative will meet you at a Delhi Airport and transfer you in an air-conditioned vehicle to your hotel of stay. You are at leisure for the rest of the day. Spend the night at your hotel. After a hearty breakfast at the hotel, take a full-day combined sightseeing tour of New Delhi and Old Delhi in an air-conditioned vehicle. Accompanied by an English-speaking guide, visit Qutab Minar, one of the earliest remains of Imperial Delhi (13th century AD), Humayun's Tomb - the fine monument believed to be forerunner of Taj Mahal, India Gate - this 42-meter-high arch was raised to commemorate the soldiers who laid down their lives in World War I. Further on, drive past Parliament House, President's House, Secretariat Building, Laxminarayan Temple and Connaught Place. After exploring the historical sites of Delhi, return to your hotel and spend the night. After breakfast, you will be taken to Mandawa, about 260 kilometers from Delhi. On arrival, check-in at a pre-booked hotel. 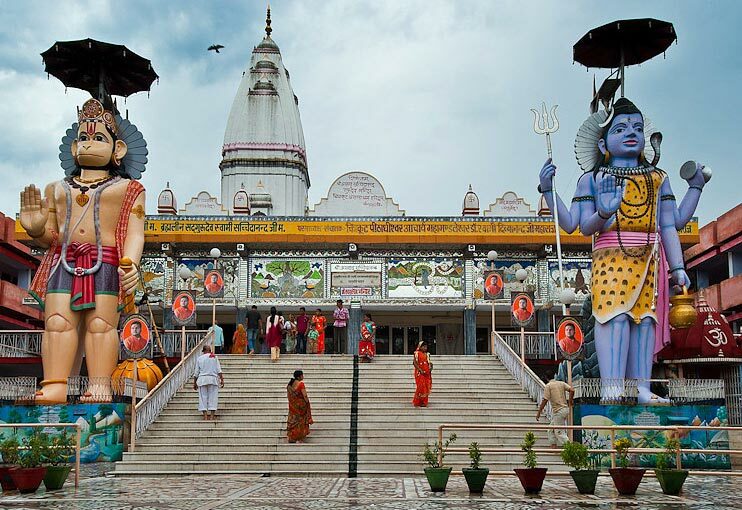 Take an afternoon sightseeing tour of Mandawa. The land of Shekha (Rao Shekhaji 1433-1488), Mandawa is known for its human and artistic enterprises. After exploring the city, return to your hotel and spend the night. After breakfast, set out on a drive to Bikaner enjoying scenes of desert life, about 200 kilometers from Mandawa. On arrival, check-in at a hotel for your overnight stay. In the afternoon, take a sightseeing tour of Bikaner that stands on the northern tip of the desert triangle. After exploring the places of visit in the city, return to your hotel and spend the night. After a hearty breakfast at the hotel, today you will be driven to Jaisalmer about 333 kilometers from Bikaner. On arrival in Jaisalmer, check-in at a pre-booked hotel. Spend the rest of the day at leisure. After breakfast, set out on a sightseeing tour of Jaisalmer, a spectacular desert city. The foundation of the city was laid by Rawal Jaisal in 1156 AD. After exploring the different hues of Jaisalmer, return to your hotel and spend the night. After a sumptuous breakfast at the hotel, drive to Jodhpur about 287 kilometers from Jaisalmer. On arrival, check-in at a pre-booked hotel and relax for a while. In the afternoon, take a sightseeing tour of Jodhpur, the former capital of Marwar state founded in 1459 by Rao Jodha. Visit the Mehrangarh Fort spread over 5 kilometers on a steep hill and looking down 125 meters. The fort appears rugged and impenetrable from the outside, but houses some of the most intricately adorned palaces with exquisitely carved panels and latticed windows - Moti Mahal, Phool Mahal, Sheesh Mahal are some of the areas worth exploring. A collection of royal cenotaphs built in while marble, lies very close to the fort. Built in 1899, the cenotaph also houses portraits of the rulers of Jodhpur. After exploring some of the finest architectural gems of Jodhpur, return to your hotel and spend the night. After breakfast, take a short drive to Rohet Garh and check in at a pre-booked hotel. It is about 40 kilometers from Jodhpur. Set out on an afternoon jeep safari to a Bishnoi village steeped in history. This 450-year old tribe has a distinctive way of life. They are environmentalists in the fundamental sense, preserving the wilds in scientific and local routines evolved over centuries of living with nature and by nature. Spend some time with the locals for a closer look into their way of life. After exploring the village, return to your hotel and spend the night. After breakfast, drive to Udaipur visiting the beautiful Ranakpur Temples en route. Ranakpur, the Jain community like several others, had always enjoyed the patronage of the ruling family of Mewar and quite a few important positions were held by the Jains. Udaipur is about 275 kilometers from Rohetgarh. 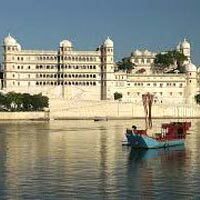 Check-in at a hotel in Udaipur for your overnight stay. Spend the rest of the day at leisure. 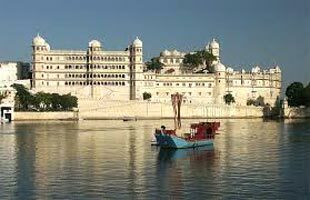 After breakfast, enjoy a sightseeing tour of Udaipur, one of the most beautiful cities in all of Rajasthan, better known as ‘city of lakes’. The places of interest here include City Palace which has several carved balconies, arches and decorated pillars, Zenana Mahal, Fateh Prakash, Durbar Hall and Shambhu Niwas. 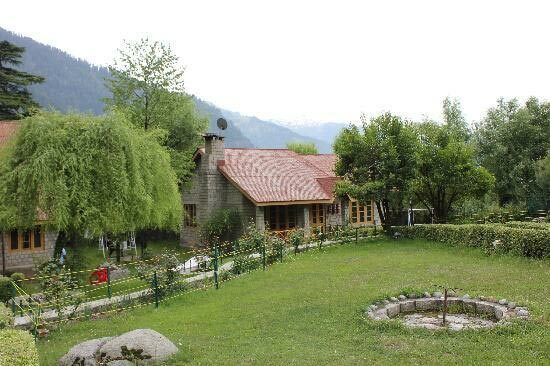 Also visit Jagdish temple, Sahelion-ki-Bari (queen's resort for her friends). Spend the rest of the day at leisure. Return to your hotel for your overnight stay. After breakfast at the hotel, drive to Chittaurgarh, a place known for the heroism of Rajput rulers. Equally well-known is the Maharani of Chittaur, Padmini whose beauty led the Sultan of Delhi, Allauddin Khilji to attack the fort. A fierce battle was fought and the Maharani with her entire entourage committed sati. Further on, proceed to Kota and check-in at a pre-booked hotel for your overnight stay. Today, you will cover about 275 kilometers. After breakfast, explore Kota, known as the industrial capital of Rajasthan. The city has only a few traces of its past still left. The fort overlooking the mighty Chambal river is a popular attraction. Built in mid 13th century, legend has it that its foundation was laid on a slain body of a Bhil chieftain, the community originally inhabited this place. The other attractions are Jag Mandir, Brij Vilas Palace and royal cenotaphs. After exploring Kota, head to Ranthambore and check-in at a hotel for your overnight stay. Today, you will drive about 200 kilometers from Kota. Spend the morning and afternoon doing jeep safari in the park. Ranthambore is one of the finest tiger reserves in the country. Return to your hotel and spend the night. Tuck into a sumptuous breakfast and set out on a drive to Jaipur, about 185 kilometers from Ranthambore. On arrival in Jaipur, check-in at a hotel and spend the rest of the day at leisure. Spend the night at your hotel. After breakfast, continue on an excursion to Amber Fort, set in a picturesque location. Amber is a fascinating blend of Hindu and Muslim architecture. Built in the 16th century by Raja Mansingh in red sandstone and white marble, the palace complex has some very interesting apartments. After exploring this beautiful palace and getting an insight into its fascinating history, return to your hotel for the night. You are at leisure for the rest of the day. After breakfast, you will travel to Agra and stop at Fatehpur Sikri en route. Fatehpur Sikri was built by Emperor Akbar in 1569 and abandoned after 15 years due to scarcity of water. See the graceful buildings including Jama Masjid, Tomb of Salim Chishti, Panch Mahal and other palaces. Agra is about 235 kilometers from Jaipur. Check-in at a hotel in Agra and spend the night. After breakfast, take a sightseeing tour of Agra. Agra, the home of the immortal Taj Mahal, the inimitable poem in white marble, is the first expression of love of an Emperor Shah Jehan for his queen Mumtaz Mahal. Afterwards drive to Delhi, about 204 kilometers from Agra. You will be dropped at the international airport or any place convenient to you in Delhi for your onward journey. - Standard check-in/check-out times at all hotels will be 12 noon. After breakfast at the hotel, you will be transferred to the airport to board a flight to the pilgrimage city of Varanasi. A representative will meet you at the Varanasi airport and take you to your pre-booked hotel. You have the afternoon at leisure to relax or stroll around its bustling bazaars and beautiful temples. In the evening enjoy the Aarti on the banks of river Ganges. Aarti is a beautiful ceremony in which a group of priests hold fire bowls in their hands and offer their homage to the river, Lord Shiva, the sun and the universe. The long string of ghats - the chain of stone steps - along the western bank of the Ganges forms the major attraction of Varanasi. Return to your hotel and spend the night. Enjoy an early morning boat ride on the Ganges and visit all the ghats. Find out the fascinating legends associated with these ghats from your boat rider. After a refreshing boat cruise, return to your hotel for a hearty breakfast. Continue to explore the bazaars of Varanasi and follow it up with a trip to Sarnath, an important Buddhist pilgrimage center. Marvel at the huge Buddha statue of Sarnath. Later in the afternoon you will be dropped at the Varanasi airport for a flight back to Delhi. After landing in Delhi, you will be met by a representative who will assist you to the international airport or any point convenient to you in Delhi for your onward journey. 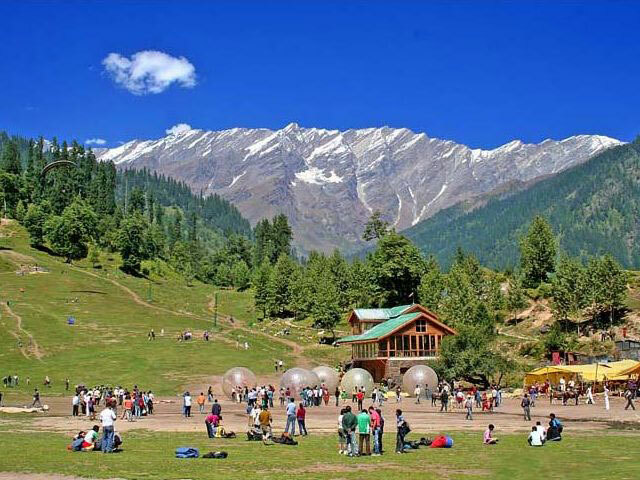 Destinations Covered : New Delhi, Haridwar, Rishikesh, Uttarkas..